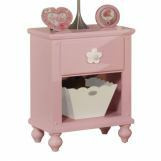 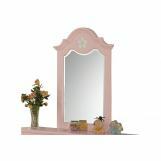 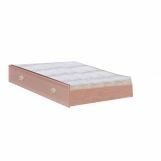 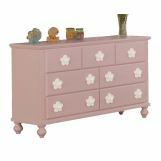 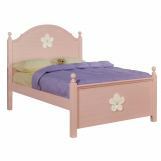 The Floresville Pink Chest with Mirror and Baskets displays a simple yet transitional design to enhance the aesthetic appeal of your child's settings with the finish of course is in a playful pink. 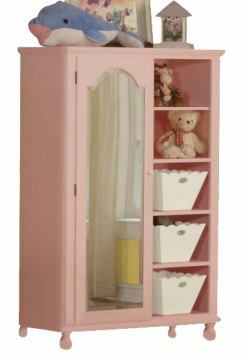 Four shelves with three removable baskets provide open storage space for books or toys. Mirrored door in beautiful arched style conceals further shelved storage.